Howrah or Haora is an industrial city, a municipal corporation in the West Bengal, India. Start off your visit on the 20th (Sat): admire the natural beauty at Acharya Jagadish Chandra Bose Indian Botanic Garden, snap pictures at Second Hooghly Bridge, and then steep yourself in history at Panitras Samtaber. 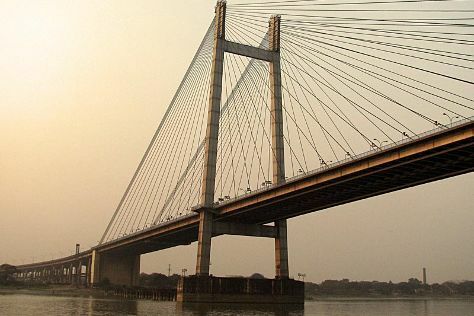 For more things to do, photos, ratings, and more tourist information, use the Howrah sightseeing planner. In April in Howrah, expect temperatures between 43°C during the day and 30°C at night. Finish up your sightseeing early on the 20th (Sat) so you can travel back home.